There is this guy… Guy Kawasaki, you may have heard of him. He did big things for Apple in their early days. Now, he has a bunch of his own start ups and finances other people’s great ideas. One of which is called ‘AllTop’. A services that allows blogs to sign up and if chosen, their feeds are grouped together in particular interest groups. 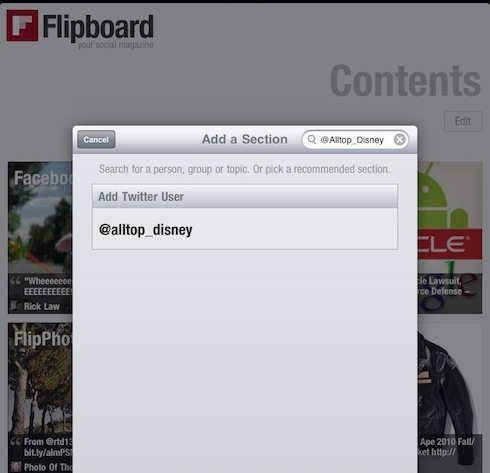 In a Twitter post this week, Guy mentioned how easy it is to add one of those popular feeds right into Flipboard. 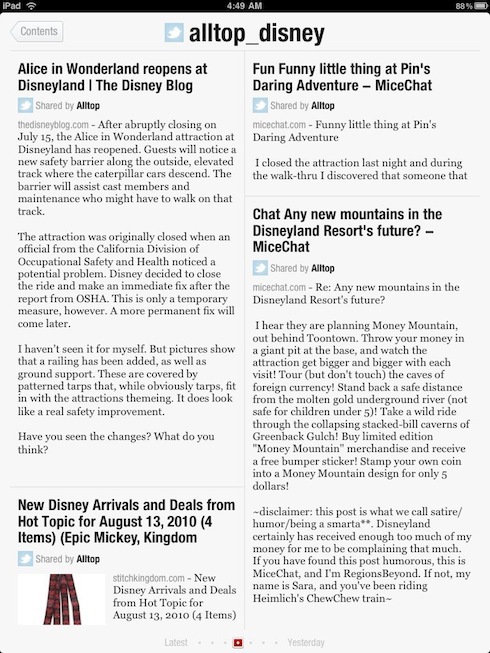 By doing this, you will have an area in your Flipboard app that just pulls the latests posts on Disney that AllTop has pulled together. You could do this for any subject they have, this just happens to be a timely one as many folks around the office are talking about trips to Disneyland over the next couple months. To add this group, tap on one of the squares in the opening area of Flipboard that doesn’t have anything assigned to it. You wont be able to find this unique type of feed in the list they have built in. If you just insert what Guy mentions in the Search box, you will be allowed to add it as a new group. 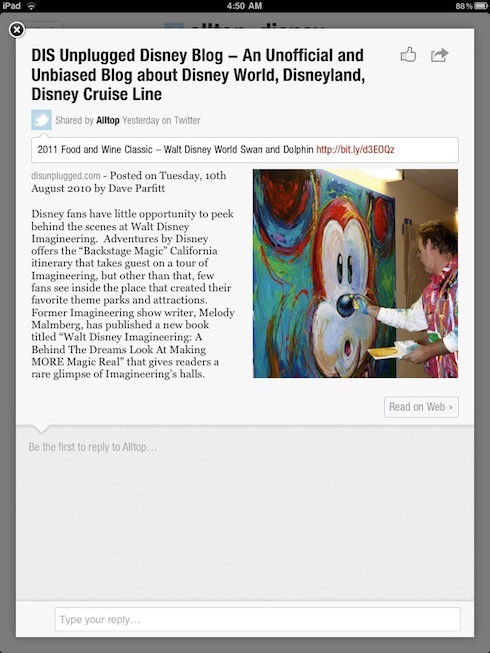 You will get a group on the homepage that when chosen works like any other Flipboard news feed. Presenting what people have recently posted about ‘Disney’, all being able to be drilled down with a tap for more information.